It was interesting getting K-news while we were actually in Korea. (And I’m not just talking scandals, scandals, and douchebaggy scandals, though that was also interesting and news for another time.) It was interesting getting drama or kpop news while we were actually in its homeland. One big difference between the US and SK I couldn’t help but notice was the utter lack of drama promos. In NY or LA (or I’m sure any larger city) you see posters for new and upcoming shows on billboards, subways, taxis — essentially any place you can put a poster, someone is going to promote a tv show on it. In South Korea? Not so much. I think we may have seen one in the entire time that we were there. There were lots of ads everywhere, big billboards some even dedicated to celebrating Kpop star birthdays, but no dramas. When we thought about the reasoning behind such a decision, it actually made a little sense, right? That stuff is expensive — and don’t rotate out quickly. Why would they put a ton of money into promoting something that’s going to be here and gone in 8 weeks? It doesn’t make much financial sense. A show ends, people are just going to choose the next show, possibly the next show that comes on the same channel as, handily, it starts as soon as their current drama ends. I’m fairly certain the one advert we did see? An OCN show. Which totally makes sense considering the cable shows need to lure viewers away from the mainstream networks. This all being said, when we got information on new dramas (or said scandals, scandals, and douchebaggy scandals), we got it the same places we usually do, the same places YOU usually do (unless you’re used to getting your news here in which case, awww thanks, and awww sorry as we were out for a good chunk of the time as almost the entire staff of Kchat was in South Korea.) Subway ride to subway ride, waiting for trains, hanging outside while one or many of us were inside the next K-beauty store, one of us was reading up and was happily willing to share whatever news popped up. The news that made SaraG very happy? (Outside of Sewoon’s teasers and then MV release?) 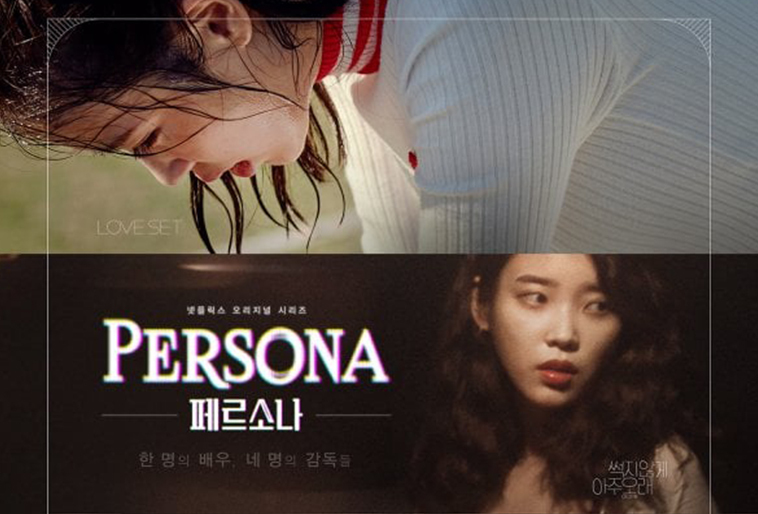 The news of IU’s new series for Netflix. It’s a series of 4 stories, each told by different directors: Im Pil Sung, Lee Kyung Mi, Kim Jong Kwan, and Jeon Go Woon and each one looking wildly different in story and tone. 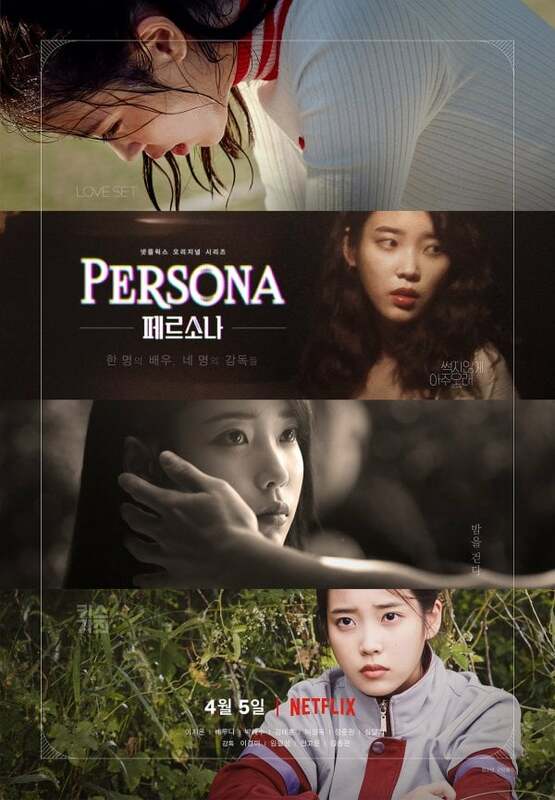 It’s said that each character is inspired by IU herself, but, looking at the teaser? I find that to be a bit of a stretch…except for maybe the last two? I have to say, I’m not a huge IU as an actress fan, but I can totally see why SaraG was instantly excited by this, it looks FANTASTIC and I actually can’t wait to see it myself. I like the idea of seeing her portraying all of these varied characters, in all of these varied styles in episode after episode. If anything can tell us if IU can really act, or really stretch herself as an actress, it would be something like this. Out of the 4 storylines, I think I’m most interested in watching the first one, the tennis one most. As I follow Bae Doona on Instagram, I knew she had a new Netflix show in the works but it wasn’t until watching this teaser I had any idea what it was actually for. (Probably because I was cursing her for working on any Netflix show other than Kingdom. Come on get to season two already!!!!!!!!!!) As I’m a big Bae Doona fan, and you don’t really see her playing the sort of character that gets flashed to us in the trailer, I am interested to see what’s going on in that short. How about you? Are you going to be binging this? Are you a huge IU fan? Are you silently pleading for them to hurryup on Kingdom 2 already? I 100% think we should watch this. For serious.